 Pneumatically switchable and controllable synchronous clutch. > Construction type EAS-Sp torsionally rigid: Double shaft design with robust disk pack coupling. Electromagnetically switchable and controllable synchronous clutch. > Construction type EAS-Sm standard: Flange clutch with stable, double bearing for direct mounting directly of drive elements. > Construction type EAS-Sm with cover: EAS-Sm standard flange clutch with cover. > Construction type EAS-Sm torsionally rigid: Double shaft design with robust disk pack coupling. Electromagnetically switchable and controllable ratchetting clutch. > Construction type EAS-Zr standard: Flange clutch with stable, double bearing for direct mounting directly of drive elements. > Construction type EAS-Zr with cover: EAS-Sm standard flange clutch with cover. > Construction type EAS-Zr torsionally rigid: Double shaft design with robust disk pack coupling.